For this project I worked together with Easy Consult. 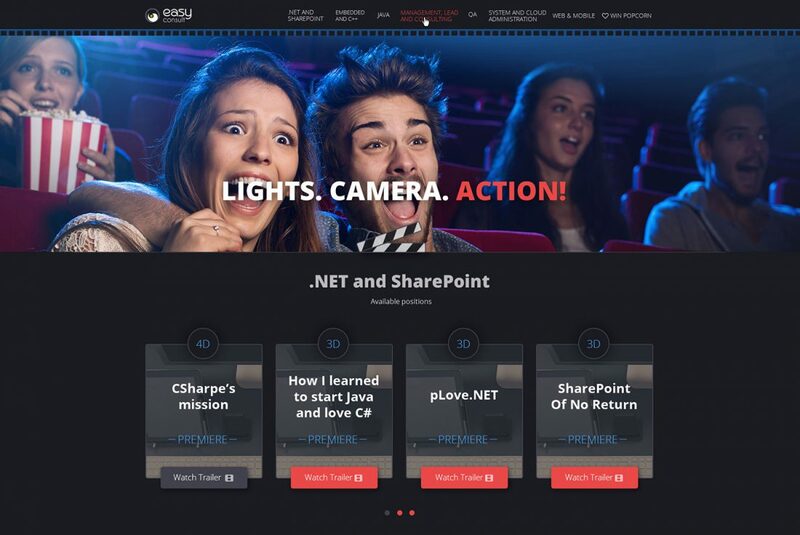 They provided me with the web design and the mockups of the site, and I was responsible for programming and implementing the layout using HTML, CSS3, and jQuery interaction effects into a responsive WordPress theme that looks and works smooth on all devices and screen sizes. 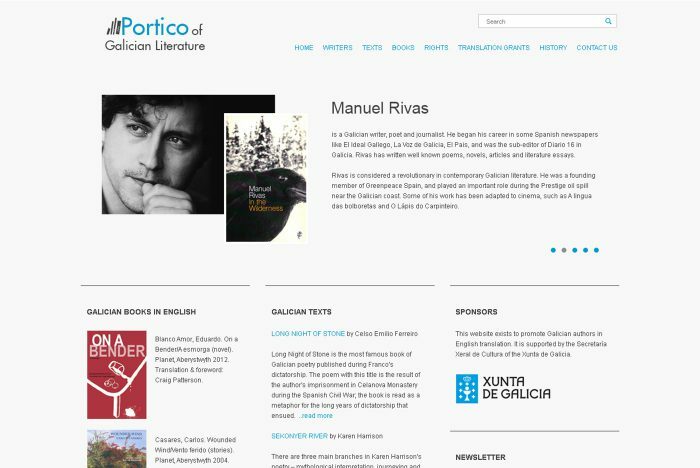 At Portico of Galician Literature the visitor to the site will be able to read work by selected Galician authors, find synopses of their most successful titles and read a short biography. 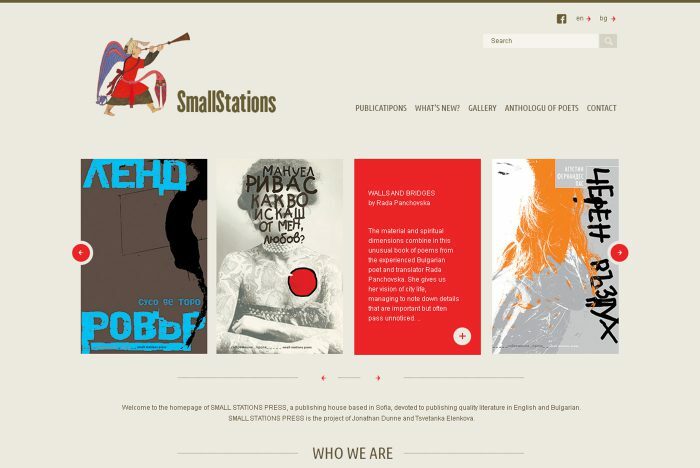 The visitor will also find a list of Galician books already published in English, with links to publishers’ websites where available. Finally there is information on the availability of rights and translation grants, together with a short history of Galician literature from 1196 to today. 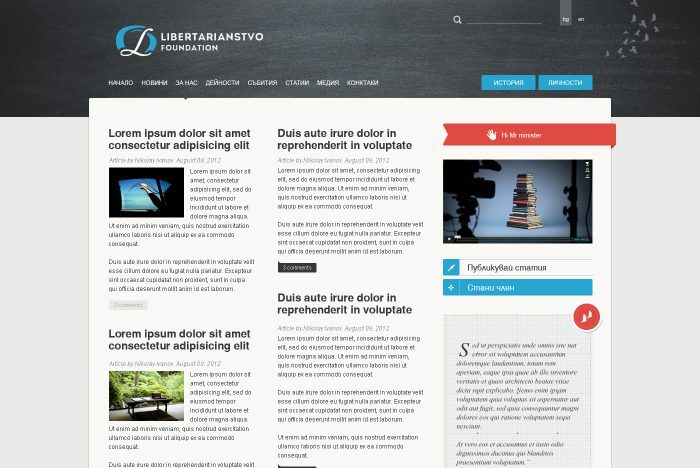 “Libertarianstvo” foundation aims at raising the awareness for the libertarian principles in the Bulgarian society. Moreover, through its activities the foundation wants to make people realize that we have to protect our freedom, because it cannot be social justice if our individual rights suffer in favor of the rights of the community. Last, but not least we believe that people should protect their freedom, because freedom is the only true way to progress!